Wilcox, Michael. "Rural Teachers in Canada". The Canadian Encyclopedia, 06 September 2017, Historica Canada. https://www.thecanadianencyclopedia.ca/en/article/rural-teachers-in-canada. Accessed 21 April 2019. ​Up until the second half of the 19th century, most rural teachers in Canada were young, female, poorly paid, and held the most limited professional qualifications. These teachers delivered a rudimentary education to thousands of Canada’s rural children, often amidst difficult conditions. Indeed, until the 1960s, rural teachers frequently taught students of various ages and wide-ranging academic abilities together in one-room schoolhouses while also shouldering the burden of maintaining the schools themselves. Oil on canvas, 1885, by Robert Harris (courtesy National Gallery of Canada/Musée des Beaux-Arts du Canada, Ottawa). During the first half of the 19th century, Canadian teachers, tutors, and even schools themselves were accessible primarily to children of the elite and to those in urban areas. Most households in rural Canada preferred to educate their children in or around the home, providing them with practical training for careers in forestry, farming, fishing, or homemaking. By the mid-19th century, promoters of state-supported schooling such as Egerton Ryerson in Ontario and John Jessop in British Columbia championed the idea that formally trained teachers and publically funded schools would help create social harmony while also opening up economic opportunities and fostering character building. 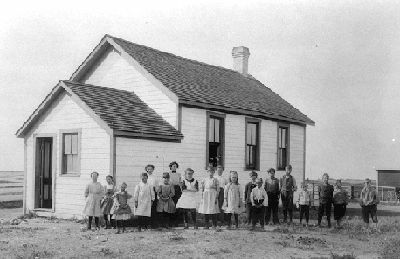 One-room schoolhouses began to dot the landscape in rural Canada and from the mid-19th to the mid-20th Century a single teacher in a one-room school was the dominant form of education for rural Canadian children. Colonial and later provincial Department of Education officials typically provided only minimal direction with regards to courses, textbooks, qualifications and administration, which meant that local boards of trustees were left to handle most educational matters. Since trustees often controlled funding, the procurement of equipment and hiring decisions, rural teachers were often at their mercy. There was no universal experience for rural teachers in Canada. Rather, age, gender, class, race, ethnicity, region and historical context shaped rural teachers’ lives both inside and outside the classroom. Nevertheless, some commonalities emerged in terms of their training, their working conditions and the programs of study they offered to rural children from coast to coast. In rural Canada, from the mid-19th to the 20th Century, the combination of relatively low student populations and small tax-bases meant that it was consistently difficult to afford sufficiently qualified teachers. Rural school boards generally preferred to keep schools open and employ inexperienced or underqualified teachers over closing them down entirely because no qualified teacher could be found. 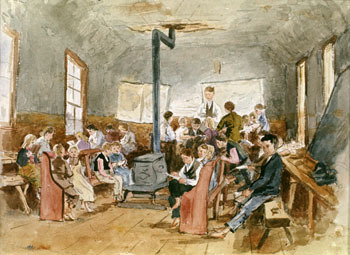 Few rural teachers undertook pedagogical training in teacher training centres called Normal Schools, which first opened in large urban British North American cities in the late 1840s and early 1850s. In fact, most rural teachers only had some combination of high school work and a couple of months of professional training to prepare them for life in the classroom; some had no formal qualifications whatsoever and simply learned through observation and practice. Generally speaking, rural teachers held only the lowest-ranking teaching certifications or temporary permits to teach, which were issued by the boards or trustees. While their average number of years of teaching experience and their levels of qualification grew substantially from the 1920s onwards, rural teachers nevertheless consistently lagged behind their urban counterparts in terms of both qualification level and length of service. In general, rural teachers also had lower salaries than their urban colleagues; however, they often received room and board from a local parent or other community member. This bolstered their modest income and provided a degree of independence and social status in the community. Despite these benefits, rural teachers rarely lasted too long: high turnover rates were a defining characteristic among the young, unmarried female teachers, usually between 17 and 23, who dominated the position until the 1960s. While some teachers were dismissed for disciplinary reasons, most left on their own accord – some for urban schools, others for new careers, and others still because of the low pay. Perhaps the most important factor connected to their transiency and low wages – especially amongst women – was that their teaching was viewed as a temporary measure before leaving to marry, have children and work in their own homes. Regardless of historical period or region, rural schools throughout Canada were generally simple buildings that reflected what local residents could afford and construct themselves. They were generally rectangular structures of wood, brick, or stone, consisting of a classroom and perhaps a cloakroom or closet for storage. Like most rural Canadian homes, the overwhelming majority of these schools did not have electricity or indoor plumbing, and were heated by wood stoves. The furnishings were minimal; teachers were generally equipped with a desk, some books and maps, a blackboard, chalk and brushes, a globe, a clock, a dictionary, a bell, a broom, a woodbox or coal bucket and a shovel for the stove. The schools were often unsanitary and unsafe. Ventilation was inadequate, there was no running water, and since they were often built from wood and heated by an open furnace, the risk of fire was ever-present. In these unsanitary conditions, the risk of contracting a contagious disease such as diphtheria or typhoid was high, a situation that was exacerbated by factors such as overcrowding or when human waste seeped into the wells. The schoolyard usually consisted of a well, one or more outhouses, and woodpiles. In Western Canada, where many students rode horses to school, there were sometimes barns or stables on the school grounds as well. Only a very few had recreational equipment. 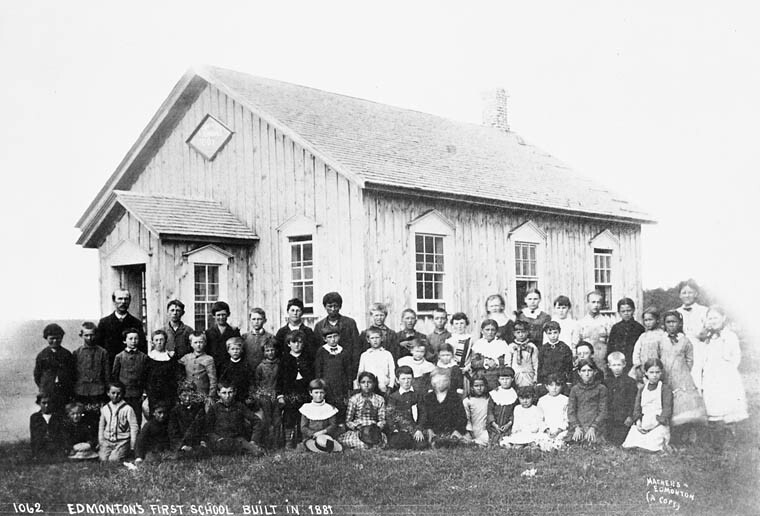 Nevertheless, the one-room school was an important community hub for rural people. It served as site for dances and Christmas concerts, political speeches and polling stations, public examinations, fundraisers, church services and even weddings and funerals. Despite all these uses, rural schools were primarily sites for education. Generally speaking, rural parents were eager to send their children to school because they provided not only the basic academic training they would need for success on or off the farm, but also for the social benefits and character building that were built into the curriculum. Notwithstanding, irregular student attendance remained a problem across rural Canada. Several factors limited children’s ability to attend classes, including the need to help parents with their work (particularly in farming areas during harvest season), snowstorms and other poor weather conditions, and the sometimes long and arduous treks to school. When at school, most rural teachers focused on teaching educational basics such as reading, writing, arithmetic, spelling and geography. Organizing such lessons was challenging due to the differing ages and abilities of the children. In order to ensure that all students and subjects were addressed, teachers were forced to innovate. This meant that a lot of the time, they gave brief presentations to a particular group while other students worked on their own tasks or conferred with older students about their assignments. 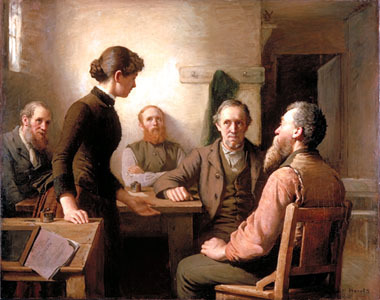 Rural teachers often held a number of responsibilities in addition to their teaching including lighting the wood stove early in the morning and keeping it going all day, cleaning the school, doing small repairs, supervising students on breaks and lunch and doing paperwork for trustees or school inspectors. Around the turn of the 20th century, rural one-room schoolhouses began to close. Educational promoters claimed that merging together many one-room schools into one larger building in a village or small town would help alleviate administrative burdens, improve cost efficiency, and provide a broader range of educational opportunities and higher quality instruction. Despite resentment from some parents about sending their children lengthier distances to receive their education in consolidated schools, the process was virtually complete by the 1960s. By then, the one-room schoolhouse was no longer a viable option for Canadian students, and with it marked the passing of the one-room schoolteacher.